KDP Select is an optional program for you to reach more readers, and it gives you the opportunity to earn more money. Now, when you enroll your title in KDP Select, your title will be included in Kindle Unlimited (KU)–a new subscription service for customers in the U.S., U.K., and Germany. When your title is read past 10%–about the length of reading the free sample available in Kindle books–you will earn a share of the KDP Select monthly global fund. Your book will also be included in the Kindle Owners’ Lending Library (KOLL) for customers in the U.S., U.K., Germany, France, and Japan where you will earn a share of the KDP Select monthly global fund when your book is borrowed. We have continued to see significant early trial response from customers to KU. Similar to what we’ve done in the past around holiday spikes in borrowing activity, we are adding a bonus of $2 million in September on top of the regular base fund amount of $3 million bringing the total fund to $5 million. To further highlight KDP Select books and authors that are most popular with customers, we have also introduced a new element to the program: “KDP Select All-Stars.” Based on what KDP Select titles are being read the most during the month, we will identify each All-Star author and title on each applicable KDP Select title’s detail page. In addition, KDP Select All-Stars will earn financial bonuses. Anyone with titles in KDP Select–even a debut author with a single title–can qualify if their work becomes a customer favorite. To learn more, visit KDP Select Global Fund Updates. When you are adding or editing the description of your book on your product detail page, you can use HTML tags to format it. You’ll be able to arrange the paragraphs, headings, lists, spacing, and text options (bold, italic, underlined) by using the different tags KDP supports. To check the list of supported tags, and find more information about formatting your description, you can visit the KDP Help pages. We are excited to announce KDP Kids, designed to help KDP children’s book authors prepare, publish, and promote their children’s books in Kindle Stores worldwide. The Kindle Kids’ Book Creator is a downloadable tool that helps authors create illustrated children’s books and take advantage of Kindle features like text pop-ups. With this tool, you can convert individual illustrations into interactive Kindle books that work across Kindle devices and free Kindle reading apps. Learn more about publishing children’s books on KDP. We have continued to see significant early trial response from customers to Kindle Unlimited (KU). Similar to what we’ve done in the past around holiday spikes in borrowing activity, we are adding a bonus of $2.7 million for August on top of the regular base fund amount of $2 million. To further highlight the KDP Select (KDPS) books and authors that are most popular with customers, we are introducing a new element to the program: “KDP Select All-Stars.” Based on what KDPS titles are being read the most during the month, we will identify each All-Star author and title on each applicable KDPS title’s detail page. In addition, KDP Select All-Stars will earn financial bonuses paid separately from the $2.7 million bonus. Anyone with titles in KDPS–even a debut author with a single title–can qualify if his or her work becomes a customer favorite. For August, we will pay out All-Star bonuses to the top 100 most-read authors and, separately, the top 100 most-read titles. We will calculate ‘most-read’ by combining books sold plus qualified borrows from KU and the Kindle Owners’ Lending Library (KOLL) during the month. Calculations only include sales and qualified borrows for titles enrolled in KDPS. Recipients will be contacted in the next few days. Denoting All-Stars on detail pages is a new element of KDPS, and we expect our approach to this will evolve over time. We hope it adds a little fun and adventure to the program! Finally, many authors outside the U.S. derive most of their qualified borrows from KOLL and have not been able to benefit from the growth of KU. This has meaningfully altered their ability to compete within the wider pool of KDPS loans. To adjust for this, we are adding an additional bonus of $80,000 to be paid out on all KOLL loans outside of the U.S. There are six types of reports available in your KDP account, along with a Sales Dashboard that summarizes orders and royalties in one view. When viewing these reports, only your home Marketplace will show by default. To find other royalties for other marketplaces, you need to select each marketplace one-by-one using the drop-down menu. The Amazon Breakthrough Novel Award Contest Finalists have been announced. Keep up to date with the contest, read the Finalists’ excerpts, and cast your vote for the Grand Prize winner. Kindle Worlds introduces four new worlds from best-selling KDP romance novelists Barbara Freethy, Bella Andre, H.M. Ward, and Lucy Kevin. Check out the four new Worlds and start writing in Kindle Worlds today. “For me, writing as a career was a total accident. 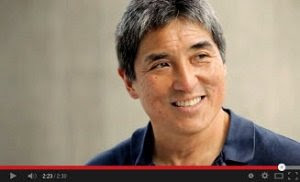 I never was this brilliant English literature major or anything like that.” Twelve books later, Guy Kawasaki, author of APE, shares his experience using Amazon’s platforms to independently publish his latest book. Now, when you enroll your title in KDP Select, your title will be included in Kindle Unlimited–a new subscription service for readers in the U.S. and a new revenue opportunity for authors enrolled in KDP Select. Customers are able to read as many books as they want from a library of over 600,000 titles while subscribed to Kindle Unlimited. When your title is read past 10%–about the length of reading the free sample available in Kindle books–you will earn a share of the KDP Select monthly global fund. For July we’ve added $800,000 to the fund, bringing the July fund amount to $2 million. All books currently enrolled in KDP Select with U.S. rights will be automatically included in Kindle Unlimited. KDP Select books will also continue to be enrolled in the Kindle Owners’ Lending Library (KOLL) available to Amazon Prime customers in the U.S., U.K., Germany, France, and Japan where authors will continue to earn a share of the KDP Select global fund when their book is borrowed. KOLL borrows will continue to be counted when a book is initially downloaded. In the month of June, KDP Select-enrolled authors earned $2.24 each time their books were borrowed. KDP Select is an optional program for you to reach more readers, and it gives you the opportunity to earn more money. In addition to potentially earning royalties from Kindle Unlimited and KOLL, you can also maximize your book’s sales potential by choosing between two great promotional tools: Kindle Countdown Deals, time-bound promotional discounts for your book, available on Amazon.com and Amazon.co.uk, while earning royalties; or Free Book Promotion where readers worldwide can get your book free for a limited time. Plus, you can earn 70% royalty for sales to customers in Japan, India, Brazil, and Mexico. Once your book is ready for publication, you will want to make sure it’s set up properly in your KDP account in order to move smoothly through the publishing process. We’ve put together a step-by-step walkthrough to help answer any questions you may have to get your book live in the Kindle Store. I know I’m always excited when I see a deposit is being made into my account from Kindle sales… how often do you check your reports from your Kindle Sales? – Track orders as they are placed: The dashboard graph provides you with daily trends for your titles as orders are placed in Kindle stores worldwide. – Track royalties as payments are processed: The dashboard displays a summary of royalties earned as payments are processed for your orders. – Generate customized royalty reports: The downloadable report gives you a detailed picture of orders, refunds and royalties earned. You can filter the Sales Dashboard and Sales & Royalty Report by title, marketplace, and timeframe. The information you currently receive in the Prior Six Weeks’ Royalties reports is now available in the new Sales Dashboard and Sales & Royalty Report. We will remove this report in the near future. Learn more about the new reporting features at our Help pages. After publishing your book, you can still edit your author name or add contributors for your book by editing your book details right from your Bookshelf in your KDP account. Set the order of your multiple author names how you’d like them to appear in the Kindle store. Remember to reconfirm your publishing rights to complete updates. For March, the KDP Select Global Fund amount is $1.2 million. In the month of February, KDP Select-enrolled authors earned $2.24 each time their books were borrowed. By Richard RidleyAs you examine the year ahead and formulate your marketing strategy, I have one suggestion for you: Have fun! Just because you take your career as an author seriously doesn’t mean you shouldn’t enjoy it. If you’re mired in tasks that fill you with dread and consternation, don’t do those tasks. Read more about how to have fun with marketing, courtesy of CreateSpace. PDF file conversions don’t always look like your original manuscript, which can be frustrating for you and your readers when they open the book on their Kindles. PDFs are a fixed format designed for printing, and converting them to a reflowable format is tricky. If you still have your original source file in a format like Word, try converting that instead of the PDF. For February, the KDP Select Global Fund amount is $1.2 million. In the month of January, KDP Select-enrolled authors earned $1.93 each time their books were borrowed.